Whether you are making the transition from indoor to beach or wanting to up your game with some of the best coaches in the business we’ve got you covered. 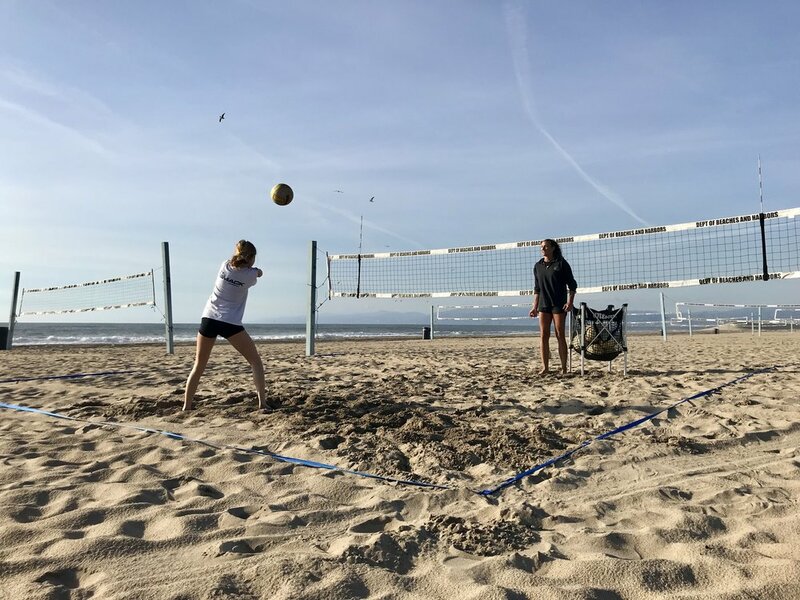 Schedule a private 1-on-1 session to develop technique, get your reps and expand your beach volleyball knowledge! Want to practice with your partner before a tournament? Work on something specific before a big game? Made a partner switch? Or maybe you just want to get the private training but want a buddy to partner with! Team Training is where it’s at! We have classes for all levels, boys & girls! Our technique classes are created to give you the daily reps and skill work needed to progress to the next level. Our workout classes will help you develop a solid strength and condition base to compete at your highest level.